Following are the suggested BOMANITE/BOMACRON specifications to assist you in the preparation of the project documents. The BOMANITE/BOMACRON portion of this project should be separated from the balance of the concrete work in Division 3, since the work will be performed by specifically trained BOMANITE contractors. Depending on the project, the BOMANITE/BOMACRON portion of the work may also be included in Division 2, Paving and Walks, Division 7, Roof Decks, or Division 9, Special Flooring. Additional assistance on specifications and technical service are available from your local BOMANITE contractor or BOMANITE Corporation. a. Materials: concrete, dry-shake color hardener, curing compound, release agent (optional) and sealer. b. Special imprinting and texturing tools. c. Concrete placement and finish. d. Color hardener and release agent (optional) placement. e. Curing compound application (BOMANITE only). a. BOMANITE/BOMACRON Imprinted Concrete: Install in accordance with the standards and specifications of BOMANITE Corporation and the American Concrete Institute (ACI). a. BOMANITE: a cast-in-place concrete slab, having the surface colored and imprinted with a pattern. The work is performed on the job site by trained and experienced workmen. b. BOMACRON: A cast-in-place concrete slab, having the surface colored, imprinted with a pattern and texture. The work is performed on the job site by trained and experienced workmen. 1.04 Related Work – to be completed by a licensed BOMANITE contractor except where noted. a. Preparation work, including sub-grade preparation, finish grading, constructing formwork, placing and setting screeds, and furnishing and placement of reinforcement shall be done by a licensed BOMANITE contractor or other qualified contractor. b. Provide and place concrete. c. Provide and apply all BOMANITE Color Hardener. Regular grade color hardener is recommended for all application areas except those subject to heavy pedestrian traffic or heavy vehicular traffic. d. Provide and apply all BOMACRON release agents. Release agent is a dry powdered, colored agent used to facilitate release of the imprinting tools from concrete surface, and to provide moderate color variations to the textured surface. e. Provide and apply BOMANITE and/or BOMACRON imprinting tools. f. (Optional) Provide and apply curing compound. h. Provide and apply sealer. i. Outside edges of all imprinted slabs shall be left uncolored unless otherwise specified in the drawings. a. All BOMANITE BOMACRON work shall be installed by a licensed BOMANITE contractor. b.The BOMANITE contractor shall provide a qualified foreman or supervisor who has a minimum of three years experience with imprinted and textured concrete, and who has successfully completed at least five BOMANITE BOMACRON imprinted concrete installations of high quality and similar in scope to that specified herein, and located within a 100 mile radius of the proposed project. Evidence that the contractor is qualified to complete the project in a workmanlike manner as specified herein shall be submitted to, and approved by, the architect/engineer. c. All BOMANITE work shall comply with the current specifications and quality standards issued by BOMANITE Corporation. d. The BOMANITE contractor shall provide a job site sample (referee sample) of 100 square feet minimum to be approved by the architect/engineer prior to the start of construction. Said sample shall be the standard for the balance of the work installed, and shall be protected against damage until final approval from the architect/engineer. a. The concrete shall have a minimum compressive strength of 3000 psi in non-freeze areas, 3500 psi in moderate freeze-thaw areas and 4000 psi in severe freeze-thaw areas. Portland cement shall conform to ASTM C 150 Type I, II, or V, depending on soil conditions. Aggregates shall conform to ASTM C 33. Mixing water shall be fresh, clean and potable. In freeze-thaw areas only, an air-entraining admixture complying to ASTM C 260 shall be used to achieve an entrained air content for the particular mix used in accordance with the published recommendations of the Portland Cement Association and the American Concrete Institute. No admixtures containing calcium chloride shall be permitted. a. BOMANITE Color Hardener: The concrete shall be colored with the following BOMANITE Color Hardener color(s): ____________. The grade of the hardener shall be: (choose one) Regular Grade or Heavy Duty Grade ___________________. b. (Optional)BOMACRON Release Agent: The following BOMACRON Release Agent color(s) shall be applied to all concrete surfaces to be imprinted and textured: ____________. c. Pattern: The following BOMANITE (BOMACRON) pattern shall be used: ____________. All imprinting tools used in the execution of this project shall be manufactured by BOMANITE Corporation. 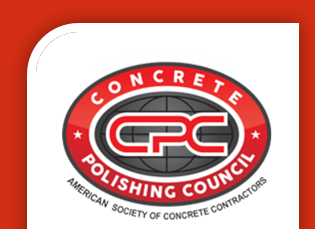 d. (Optional) Reinforcement: All imprinted slabs shall conform to the guidelines and recommendations of the American Concrete Institute for reinforcement of cast-in-place concrete slabs. e. Curing: All BOMANITE imprinted concrete slabs shall be cured with BOMANITE Cure and Seal or approved equal. BOMACRON imprinted concrete slabs are not compatible with curing compounds, and do not typically require membrane or mechanical curing. f. Sealer: All BOMANITE BOMACRON slabs shall be sealed in accordance with the manufacturer’s recommendations. a. The area to receive BOMANITE/BOMACRON imprinted concrete shall have the sub-grade prepared as required as for any concrete slab on grade. c. Provide reinforcement as specified. d. Control joints and/or expansion joints shall be provided in accordance with the drawings and the guidelines established by the American Concrete Institute. As with any concrete slab, BOMANITE/BOMACRON imprinted concrete usually contains construction joints, control joints and expansion joints. The contractor shall advise and work with the architect/engineer to determine the best location for these joints to minimize the visibility of the joints and to minimize unsightly cracking. e. The concrete shall be placed and screeded to the finished grade, and floated to a uniform surface using standard finishing techniques. f. BOMANITE Color Hardener shall be applied evenly to the surface of the fresh concrete by the dry-shake method using a minimum of 60 pounds per 100 square feet. It shall be applied in two or more shakes, floated after each shake and troweled only after the final floating. h. While the concrete is still in its plastic stage of set, the BOMANITE/BOMACRON imprinting tools shall be applied to the surface. i. BOMANITE Cure and Seal, or approved equal, shall be applied in accordance with the manufacturer’s recommendations immediately after completing the imprinting process for BOMANITE slabs only. BOMACRON slabs typically do not require membrane or mechanical curing. j. (Optional) After initial curing period, the imprinted joints shall be grouted using a sand/cement/water mixture. k. After the initial curing period (and grouting operation, if applicable), the surface of the slab shall be sealed. All materials manufactured by BOMANITE Corporation are warranted to be of uniform quality within manufacturing tolerances. Since control is not exercised over their use, no warranty, expressed or implied, is made as to the effects of such use. BOMANITE Corporation’s obligation under this warranty shall be limited to refunding the purchase price of that portion of the material proven to be defective. Please contact your local BOMANITE contractor for available warranties on workmanship. BOMANITE Corporation makes no warranty, expressed or implied, as to the quality of the workmanship by local BOMANITE contractors. All BOMANITE/BOMACRON installations should be regularly maintained by a licensed BOMANITE contractor in order to maintain a top quality appearance. Every 18 to 36 months, installations should be inspected by your local BOMANITE contractor, and should be cleaned and resealed as required by volume and intensity of traffic. Contact your local BOMANITE contractor for the proper maintenance program in your area.